We are a leading Manufacturer of chain tensioner from Ludhiana, India. Keeping in tune with the current demands our prestigious clients in the market; we are engaged in serving Chain Tensioner. Our offered chain tensioners are manufactured using high quality material and advance technology in accordance with industry standards. 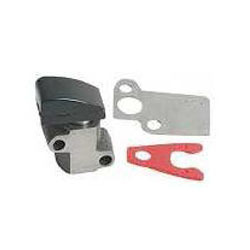 We offer these chain tensioners in various sizes & other related specifications. Moreover, our offered chain tensioners are checked before dispatching to customers so as to assure its flawlessness.